Do you happen to have a paint stick lying around? Well, yes... but stick with me! 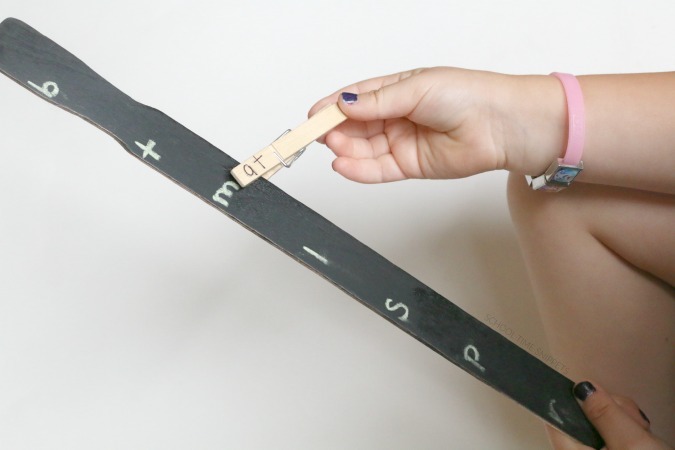 If you do and you also happen to have a beginning reader in the house, I'm going to show you a clever way to make your own word ladder that you can use to help your child learn to read! Learning to read is an exciting and nerve-wracking milestone, isn't it? I've already been there, done that with Big Brother-- but with all my lamenting over which curriculum to use and questioning if Little Sis is ready-- you would think I was a newbie at this! Whether you are a newbie or not, this Paint Stick Word Ladder is a great hands-on way to practice and encourage reading skills with your child. Begin by covering it with chalkboard paint. By using chalkboard paint, you'll be able to use this word ladder over and over again with various word lists and even beginning blends. While it is drying, grab a clothespin, marker, and piece of chalk. On the clothespin, write a word family such as /at/, /op/, /am/, etc. 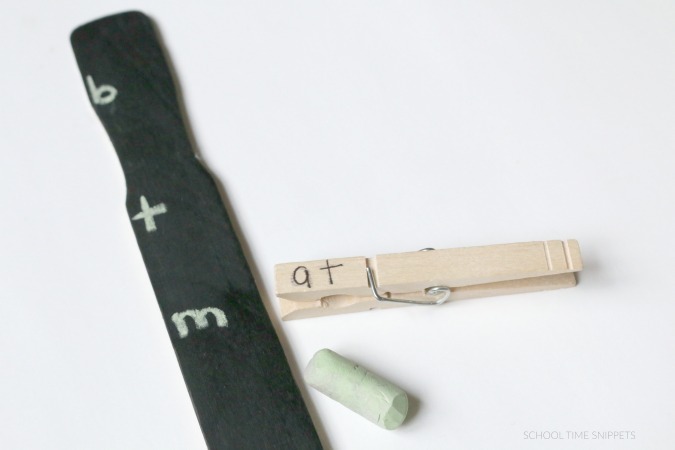 With the paint stick and clothespins all prepped, take a piece of chalk and write several letters on the paint stick. I wrote the letters: b, t, m, l, s, p, and r.
Review the sounds the letters make and the word family on the clothespin. Clip the clothespin next to the first letter on the paint stick word ladder. Encourage your child to make the sound of the letter on the paint stick and blend it with the word family to make the word, /bat/. Have your child take the clothespin and clip it next to the second letter on the word ladder-- moving down the word ladder. Your child will read the following real and non-sense words: /tat/, /mat/, /lat/, /sat/, /pat/, and /rat/. 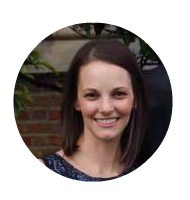 To build fluency, once your child gets to the bottom-- work your way up! 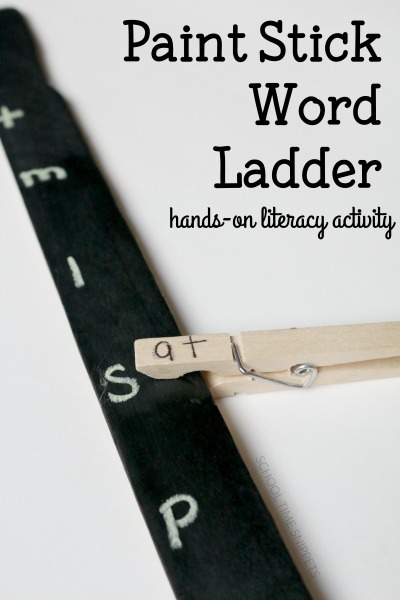 Have fun teaching your child to read with this hands-on word ladder! 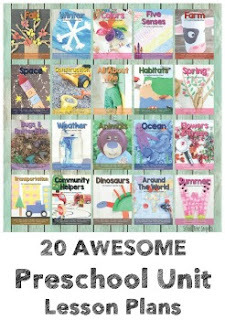 May this activity encourage your beginning reader to read... and perhaps get that painting project done, too! OH Snap! Sight Word Reading Game Roll & Stomp Reading Game Counting Syllables Tic Tac Toe Game Word Family Bingo Game Eat Your Sight Words, Literally!